Please contact saltzmanj@ou.org for more information. 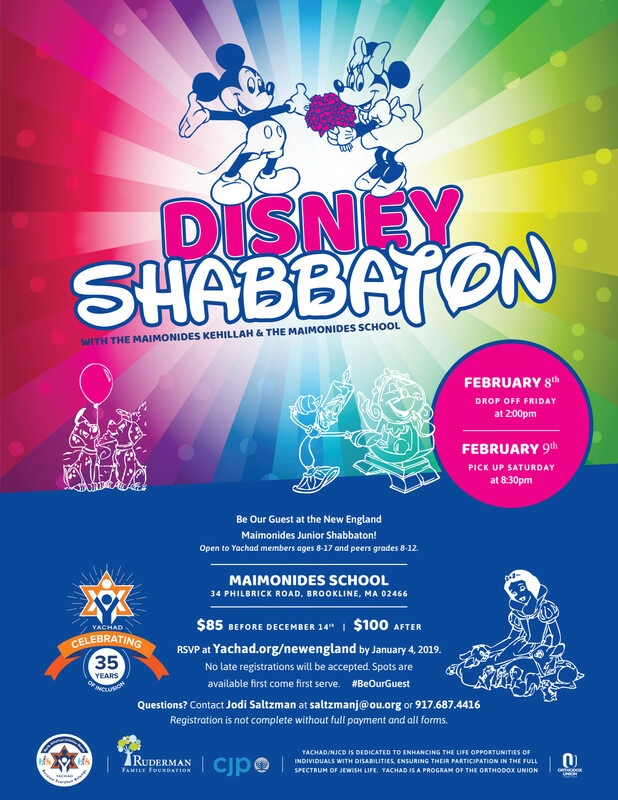 Be Our Guest at the Maimonides Junior Shabbaton! Open to Yachad members ages 8-17 and peers grades 8-12. RSVP by January 4, 2019. No late registrations will be accepted. Spots are available first come first serve.